New Year's Eve: It's a time to reminisce about the year that passed and look forward to another trip around the sun. It's also a time for celebratory toasts with family and friends. Unfortunately, the spirit of the holiday season may contribute to overindulging by some partygoers—and overserving by hosts and bartenders. Hosting a holiday party or attending one at a bar or restaurant? The drunk driving injury attorneys at Edgar Snyder & Associates want to make sure you're aware of two Pennsylvania liquor laws before the champagne starts flowing this New Year's Eve. So-called "Social Host" laws make a party host liable for the actions of intoxicated party guests after they leave your event. While many states have "social host" laws for guests of all ages, Pennsylvania is not among them. However, the Keystone State does have a social host law regarding serving alcohol to minors. According to Pennsylvania's social host law, if an underage guest consumes too much alcohol at a party hosted by an adult and then is involved in a motor vehicle crash, the host of the party can be held liable for the accident. A social host in Pennsylvania could be civilly liable for the damage and injuries caused by an intoxicated underage guest if the host was aware that the underage guest who caused the injury/damage was intoxicated. Have non-alcoholic beverages on hand. Stop serving alcoholic beverages several hours before the party ends. Make sure you have snacks on hand so guests aren't drinking on an empty stomach. Download the Uber and Lyft apps, and have the numbers for cab companies available in case you need to arrange for one of your guests to get home safely. Don't over-indulge yourself—you need to be able to monitor your guests to ensure they are safe. Make sure your guests know that if they need to, they can crash on your couch or in a spare bedroom. You may be surprised to know that in Pennsylvania, any establishment or individual with a liquor license can be held responsible if they serve a visibly intoxicated person and that person then leaves the bar and causes an accident. When a visibly intoxicated person is served and then starts a fight. In these instances, the injured person can sue the establishment. When a visibly intoxicated person is served and then trips and falls, or is otherwise seriously injured while walking back to their car. In these instances, the patron can sue the establishment. An employee of the establishment served alcohol to a patron who was "visibly intoxicated." The decision to serve alcohol to a visibly intoxicated patron directly caused the injuries or damages. It should be noted that private party hosts can also be sued under Pennsylvania's Dram Shop law. Let's say you hire a caterer or licensed bar service for your private party. They could be held responsible for over-serving a guest. 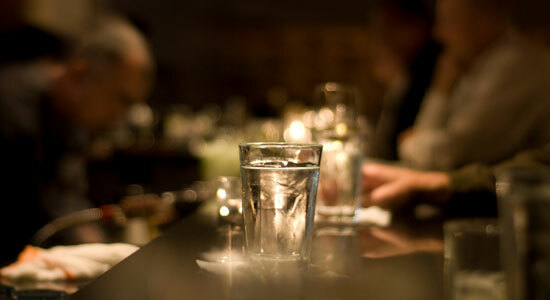 In fact, any hired service company with a liquor license can be held liable if an intoxicated guest causes an accident. Have a safe and happy New Year from all of us here at Edgar Snyder & Associates. We urge you: If you must drink, please don't drive—and if you're a party host, watch after your guests. Not only is it the right thing to do—it's your responsibility under the law.